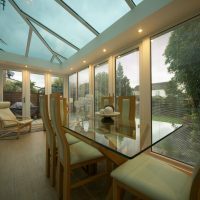 We install the Designer Conservatory across Stevenage, Hertfordshire, Welwyn, Cambridge, Radlett, Waltham Cross and surrounding areas. 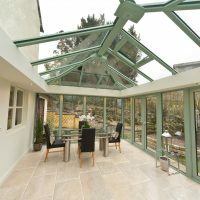 Our Designer Conservatory range provides you with the choice to select a sophisticated design and have it customised to suit any property type, whether it is contemporary or classic, our conservatory will be a perfect fit for your home, tastes and budget. 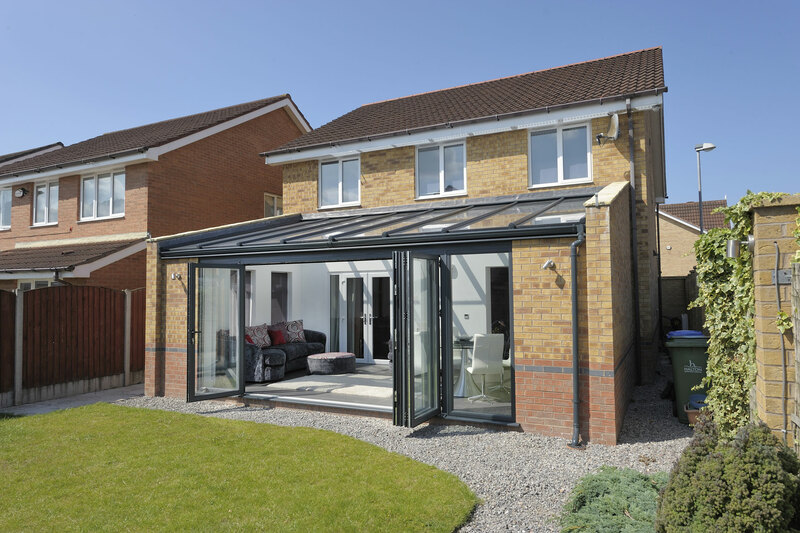 This conservatory will provide a flawless transition between your current home and your new addition. 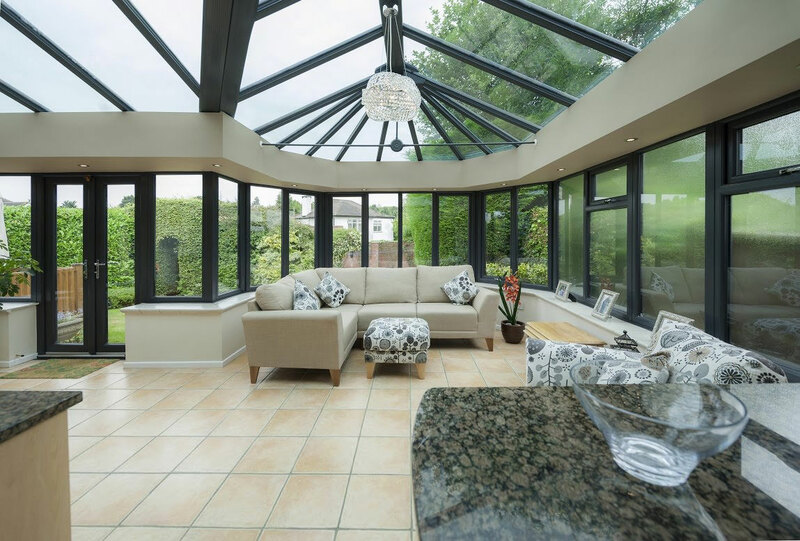 If you are looking to add value to your home and enjoy a new place to relax, you don’t want to cut corners, this is why Designer Conservatories will be the best investment for your home. 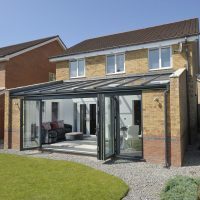 Adverse weather presents no issue for our Designer Conservatories which are structurally designed with your post-code in mind. Our product ensures maximum performance for the times when there is excessive wind and snowfall, which could prove to be unsafe for your home. Our bespoke designs offer a variety of shapes and components to choose from. Our conservatories feature extra insulation in the internal pelmet for further protection again the winter winds. 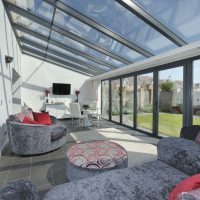 You’ll be able to use your conservatory all year round. 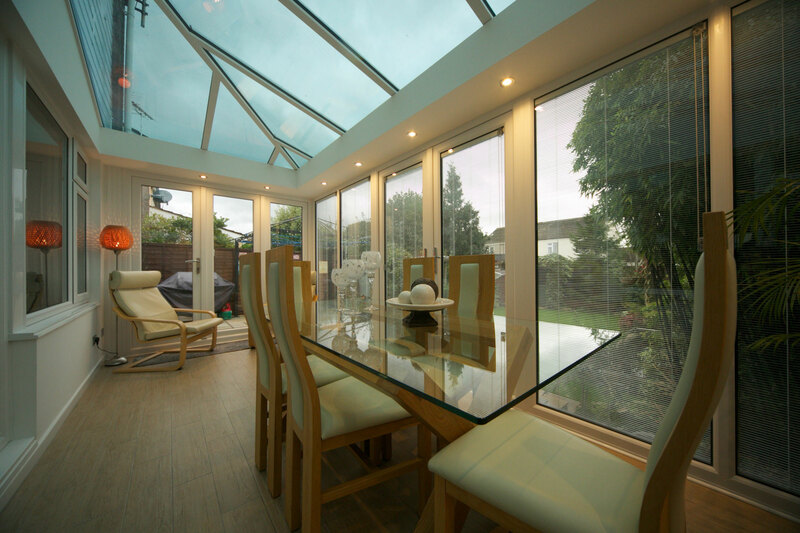 The insulated internal pelmet is installed along the inside perimeter of your Designer conservatory. It gives the illusion of a flat roof with a lantern roof on top and this space is the perfect place for spotlights, downlights and speakers. Not only that, it improves the thermal performance of the room, reducing the size of your carbon footprint. Create a seamless roofline on your Designer Conservatory by investing in one of our decorative cornices. It is available in a 3-tier range with an array of colours and finishes. 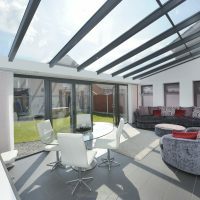 The great thing is that you don’t have to have it fitted the same time as your Designer Conservatory, you can have it installed later at your leisure to fit in with your schedule. 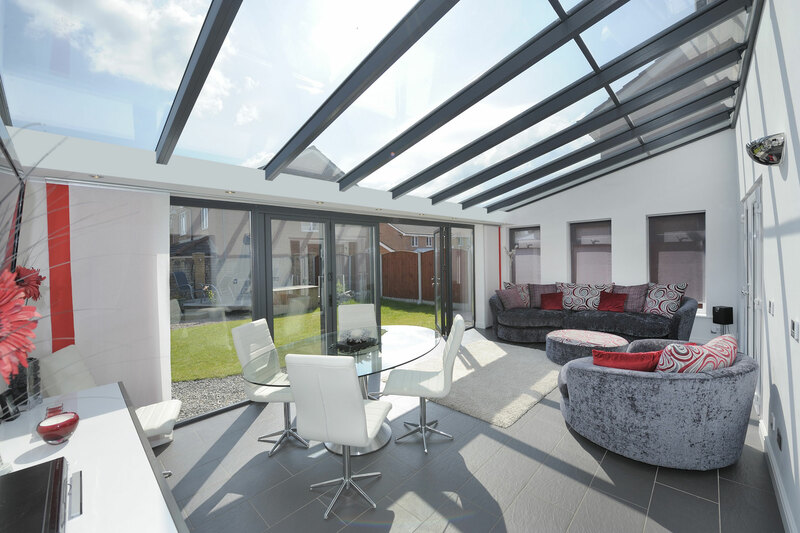 Super insulated columns can be added to the Designer Conservatory to provide superb comfort and style to your conservatory. The aesthetic is inspired by the Italian Renaissance, but they are also five times more thermally efficient than a brick pier of equivalent size. You can choose the colours, panels and column size to suit your needs and the columns are pre-fabricated at the factory, ensuring fast installation and minimal mess. 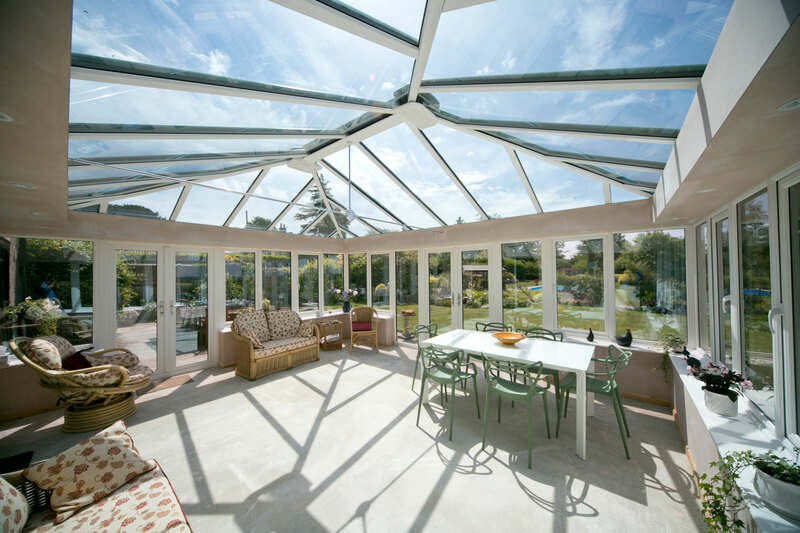 Our Designer Conservatories are thermally efficient due to the high-performance glazing. We can offer the perfect design for your taste and incorporate our innovative technology to ensure you are comfortable all year round, enjoying reduced heating bills due to these amazing features. This means you will save money without compromising on aesthetics. 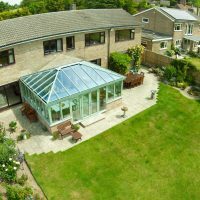 Complete your dream conservatory by looking at our fantastic range of roofs. 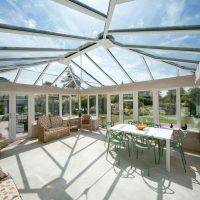 If you want natural light to flood in, we can install an aluminium or uPVC Classic roof on your Designer Conservatory. A member of our expert team can advise you on the best material for your roof to ensure that you don’t compromise on light, comfort or style. 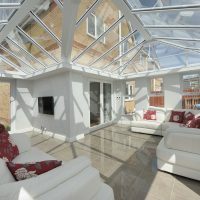 There is no standard shape for a conservatory anymore, with our Designer Conservatories you can choose from an array of shapes such as Georgian, Gable, Lean-To, Victorian, P-Shape or T-Shape. Each shape has its own unique benefits and flare and we can advise on which shape will optimise your available space, creating an incredible new living area. 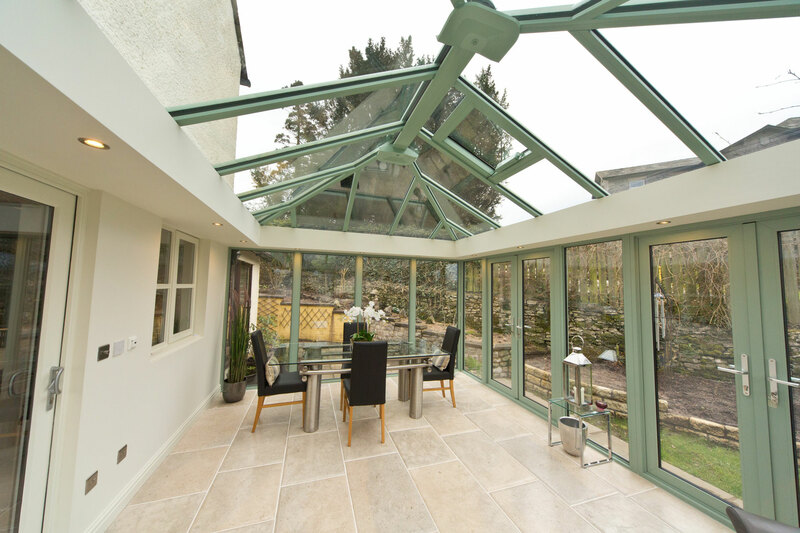 Our Designer Conservatories can be fitted in any colour, perfect if you are looking for a one-of-a-kind installation or a more muted appearance. As well as this you can add even more style and comfort to your design with central lighting, a wider insulated pelmet which can incorporate speakers and high performance super insulated columns for enhanced comfort. 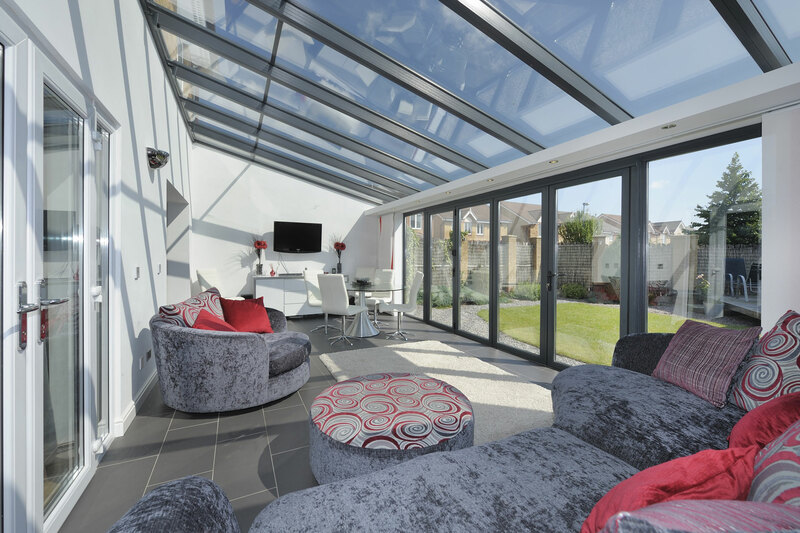 When we install your Designer Conservatory, we ensure that we are compliant with building regulations and planning permission requirements as well as keeping disruption and the length of the process to a minimum, for yours and your neighbours’ peace of mind. We’ll be on hand to ensure you enjoy industry-leading standards sooner and easier. 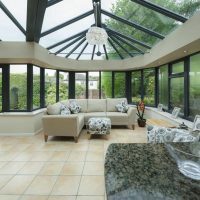 All products in our Designer Conservatory range are covered by a comprehensive 10-year guarantee. If by an extraordinary chance, you do encounter an issue with your design, our team will come out quickly to fix the problem permanently. With Conservatech, you’ll be able to enjoy lasting quality that is sure to be a worthwhile investment for your home. 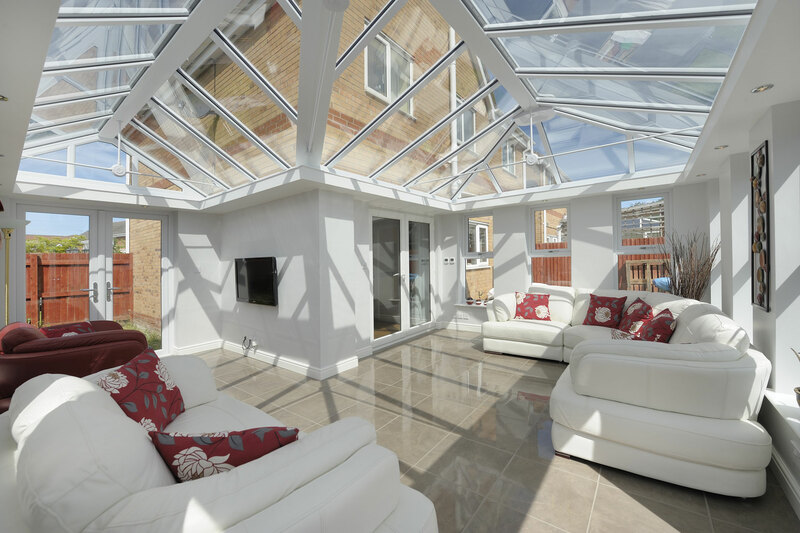 If you wish to obtain a guide price for our conservatory range, you can use our free, no obligation quoting system. You can also get in touch with us via our online contact form and a member of our team will be happy to assist and answer any questions. 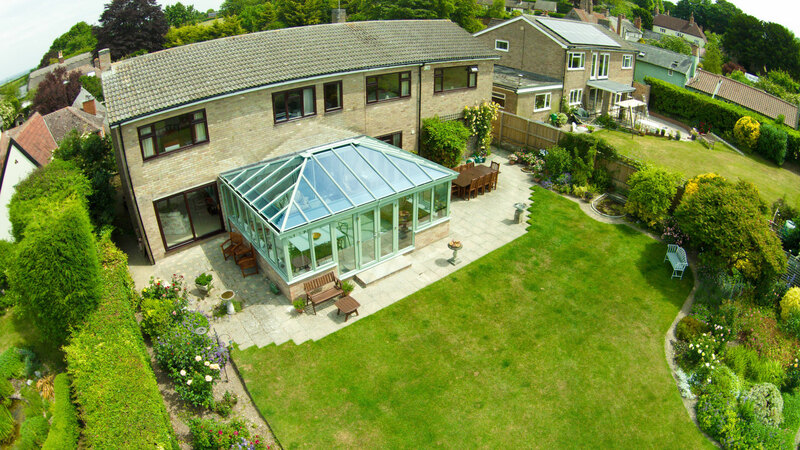 We look forward to hearing from, and helping you to find your ideal Designer conservatory.